As an IT manager, your job is much bigger than your title implies. The company you work for –like all modern businesses – runs on technology. When your systems are down, business stops. So as the resident expert on all things tech, you don’t simply manage a team – you implement, manage, and monitor systems that impact productivity across the entire company. It’s a big role with a lot of pressure, but it’s easier with tools that help you automate your tasks. The following 10 office automation tools make it simpler for IT managers and their teams to keep the whole office running smoothly – and make the whole company more productive. Office automation tools are systems and software that automate the types of tasks that impact every employee at a company – not just a single team or department. They solve overarching productivity problems by creating automated workflows for repetitive tasks like password resets, new employee onboarding, device management, and conference room booking. The office automation tools listed below are those that have the highest ratings on IT Kit – a list of workplace tools nominated and upvoted by IT professionals who use these tools at work. 1Password is a password manager that makes life easier for everyone in your office. Instead of storing login details in their browsers or – worse – on sticky notes pasted all over their desks, the people at your company store them in 1Password. Then, to access any password, they only need to remember a single master password. Better yet, 1Password helps keep your company safe by alerting your coworkers when their passwords aren’t very secure, letting them know which sites offer two-factor authentication, and giving them a tool that lets them create random passwords in a click. This makes password management simpler than ever for individuals – and keeps your company’s data secure. For IT teams, 1Password practically eliminates password-reset requests. Since people only need to remember a single master password, they’re much less likely to forget it. But even if they do, 1Password’s Account Recovery feature gives admins the ability to reset passwords. Price: From $3.99/user/month for the Teams plan that includes unlimited vaults, admin controls, and 1GB storage for each user. A 2017 survey from BetterCloud found that companies use an average of 16 SaaS apps. All of those apps directly impact IT, creating security risks and complicating user onboarding, offboarding, and management. BetterCloud – a full-service SaaS application management tool – offers a solution. BetterCloud gives IT teams the tools they need to keep company data secure and compliant. It can scan files in the file-storage apps you use to identify those that are publicly shared, automatically adjust settings on files that contain social security numbers or credit card information, and monitor app usage to identify potential insider security threats. BetterCloud also simplifies user onboarding and offboarding with automated workflows. Assign a new user the appropriate role, and BetterCloud gives that user access to the right apps instantly. And when someone leaves your company, just make an update in BetterCloud to ensure they won’t continue to have access to the apps you use to run your business. Price: From $3/user/month for the BetterCloud One plan that includes customizable automated workflows, a dashboard view of all users, and security audit logs. Spoke is an innovative, integrated ticketing system and knowledge base that actually learns as you use it. When your coworkers have questions or need IT support, they don’t have to file a ticket. They just ask Spoke. Spoke either forwards the request to your team’s queue or provides an answer instantly and automatically. How? When your IT team replies to a question/request in Spoke, they have the option of adding that answer to your knowledge base. Spoke then uses artificial intelligence to interpret the query and machine learning to determine which existing answer is best. The result: your team spends less time answering repetitive requests, the people you support spend less time waiting for help, and everyone has more time for important, strategic work. 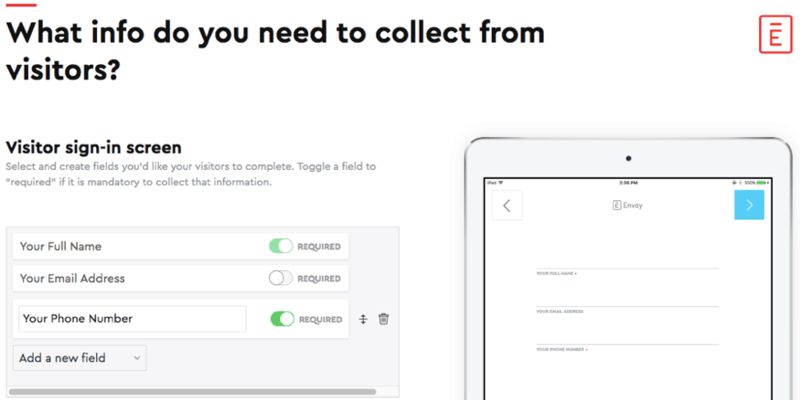 Spoke lets people create requests in all of the traditional ways: by email, SMS, and its web app. But it’s also built to work seamlessly with Slack via a native integration, letting your coworkers raise tickets and receive answers and updates without ever leaving their Slack app. Finally, Spoke was designed to be simple, so it’s not just great for IT teams. It’s useful for HR and office managers – anyone who answers coworkers’ questions or provides internal support. 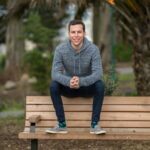 Price: From $1/user/month for the Starter plan that includes one team. 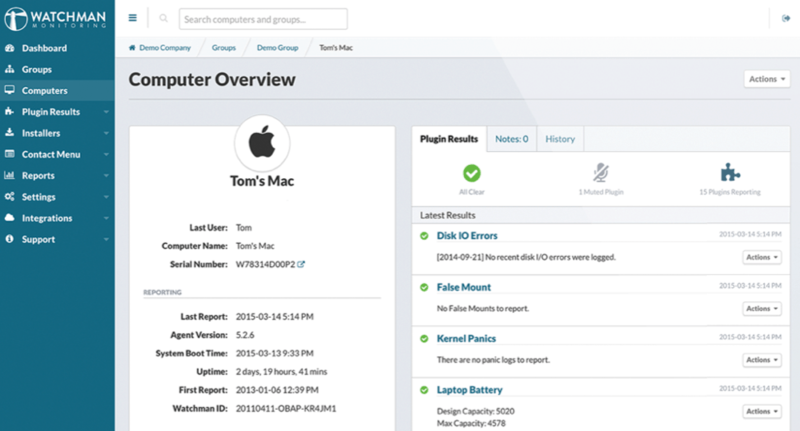 Fleetsmith is a device management tool designed for companies that use Apple devices. Instead of tracking all of your company’s devices in a complex spreadsheet, Fleetsmith captures all of the data you need to track the status and health of all company-owned devices. When a new employee starts at your company, simply update the information for the assigned devices in Fleetsmith, then assign the user to a team to give them access to the right apps. That user then has access to all of the apps they need to get started on day one. And when it’s time to update the apps your company uses, Fleetsmith takes care of it automatically. Tired of support tickets asking for help connecting to the WiFi or printer? Fleetsmith has you covered. In addition to automatically giving new users access to the apps they need for work, Fleetsmith also lets you sync new devices to printers and WiFi. This makes sure people can do their work without raising multiple support tickets – and frees your help desk up to focus on more strategic tasks. Price: Free for the Intelligence plan that includes macOS intelligence, device assignment, and automated device enrollment. If your company gets visitors infrequently, it’s probably not worth the cost of paying a full-time receptionist to manage a front desk. Instead, IT managers can take charge of front desk management with a tool like Envoy. Envoy is an app that automates the visitor sign-in process. Collect important details from visitors, have them review and sign contractual documents like NDAs, and print visitor badges automatically. Once guests are signed in and have completed all of the necessary paperwork, Envoy sends an alert to the individual receiving the visitor so they know their guest has arrived. Even if you already have a receptionist, Envoy makes their job easier. Shorten wait times by having guests sign in while the front desk is busy helping others. And if you receive lots of deliveries, just scan a barcode to send an alert to the person receiving the package. They’ll receive automatic reminders until the package is picked up. Price: Free for the Basic plan that includes unlimited visitor sign-ins and email host notifications; from $99/location/month for the Standard plan that includes badge printing and legal document signing. Tools like Fleetsmith, Jamf, and Oomnitza are great if your IT team is in charge of buying and distributing all company devices. But not all companies fund all employee hardware. If you manage IT for a company that lets employee use their personal devices for work, you have additional security threats to prevent and account for. 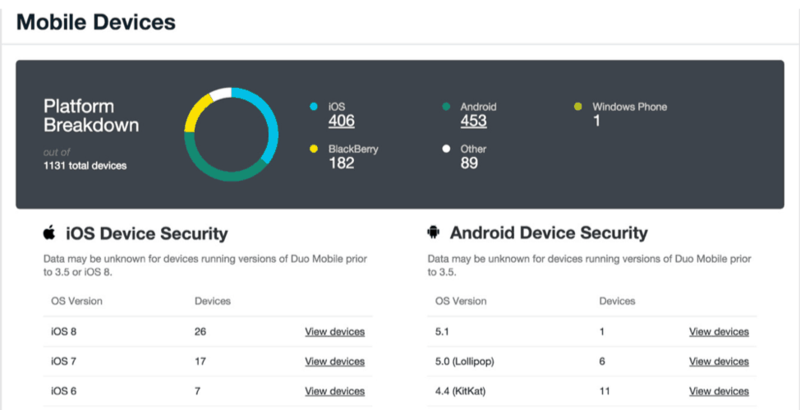 Duo is designed for bring-your-own-device (BYOD) companies. It lets you provide access to company tools from non-company-issued devices without forcing you to rely on VPNs. Instead, Duo monitors the trustworthiness of devices that are connected to your network, limiting or blocking access for users or devices that present a security risk. Users log in using two-factor authentication tools that prove they are who they say they are. Once logged in, Duo evaluates the trustworthiness of the device. If a device is deemed untrustworthy, both the user and your IT team get an alert saying what updates or changes need to be made in order to get the device in a state that presents no risk to your company data. Price: Free for the Duo Free plan that includes two-factor authentication and protection for on-premises apps; from $3/user/month for the Duo MFA plan that includes automated workflows, device security reports, SSO, and cloud apps protection. Another way IT can save companies money is by using technology to eliminate the need for security personnel. Instead of having a security person man the front door of your office, use Kisi. Kisi is a cloud access control system that provides keyless entry technology for your office, server room, and other protected areas. With Kisi, employees use either a keycard or their mobile devices to open locks on the doors in your office. If someone forgets their keycard at home, no one has to go let them in. They can just use their phones to open the door. Kisi also makes it easy to onboard and offboard employees. Just drop new employees into a group to give them access to all of the places they need to go, or remove an employee who’s no longer with the company – all from Kisi’s dashboard. Plus, administrators get access to reporting tools to review entry and exit activity, seeing who’s accessed secure areas. Price: Free for the Developer plan that includes access for a single door and up to five users; from $150/location/month for the Pay-As-You-Go plan that includes keycard access and activity reports. Hardware and installation fees may also apply. The cost and management of desk phones can be a huge hit to your company’s operating costs. And these days, it’s a completely unnecessary expense. With a tool like Dialpad, your company can ditch the desk phone and replace it with a more modern system that provides all of the same features without any expensive hardware. Dialpad gives each of your employees an office phone number. When they get a call at that number, they just answer it on their computer or mobile device ­ – no desk phone needed. Even better, Dialpad supports all of the traditional features of the desk phone: transfer calls, place callers on hold, fax documents, switch back and forth between calls, and receive voicemails. Dialpad also ships with UberConference, eliminating the need to pay for a separate system for both your phone service and conferencing tool. UberConference supports voice and video conferencing and lets users join via email or text message without complicated PINs. Price: From $15/user/month for the Standard plan that includes support for one office, up to three departments, and up to 100 users. You could wait for a support ticket to come in from a panicked coworker whose computer stopped working in the middle of preparing for an important client presentation. Or you could prevent those types of tickets with a tool like Watchman Monitoring that helps you identify issues before they become issues. Watchman Monitoring is a proactive support tool that monitors your company devices and software, alerting you to issues that need attention. Discover which devices need updates, what hardware components are throwing errors, when your software subscriptions are set to expire, and even issues with your servers that could result in massive losses of data. IT teams receive alerts about these types of issues ­ – and more – allowing your team to fix them proactively, and making everyone in your office more productive. Price: From $75/month for the Getting Started plan for in-house IT teams that includes issue detection, up to 25 computer records, and unlimited users. Someone at your company needs to schedule a meeting. They need a projector, a certain number of seats, and hardware for connecting a Mac to the projector. Instead of paying an administrative assistant to find the perfect room ­– or paying one of your techs to set up rooms according to each meeting organizer’s needs, use a tool like Robin. 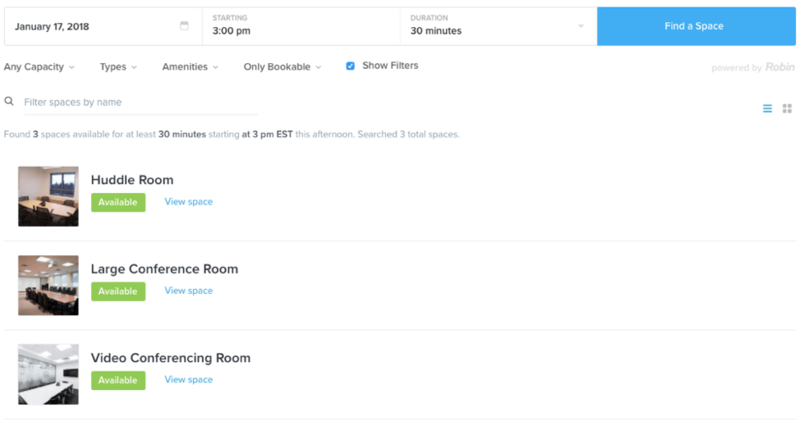 Robin is a conference room booking app that makes it easier for everyone at your company to find existing conference rooms with the amenities they need and book those rooms without assistance. Employees search for rooms in Robin’s web app or calendar plugin, then book the room for the date and time needed, preventing double-bookings. Robin also comes with analytics that help you determine what types of conference rooms are most in-demand and most underutilized. This gives IT detailed reports to present to company leadership showing what rooms could be converted and what amenities may not be needed. Price: From $20/room/month for the Basic plan that includes scheduling for 5-15 rooms, unlimited users, and room display apps for iOS and Android tablets. So that’s the top 10 highest rated automation tools on IT Kit. What would you have included? Please let me know in the comments. In order to deliver the new, required level of service & support, IT departments need turn to technology to help. But which technologies can help? And how?